Keyes Toyota: Do You Need Gap Insurance? Are you interested in getting a new vehicle like a 2019 Toyota Sienna? Do you have your eye on one of the pre-owned vehicles we have for sale? In either case, we invite you to submit an application for financing to our Toyota finance center near Hollywood, CA. Drivers who are in the market for a new or previously automobile often hear about certain things. They may get advice about negotiating the best price, for example. Another subject that’s commonly talked about is gap insurance. 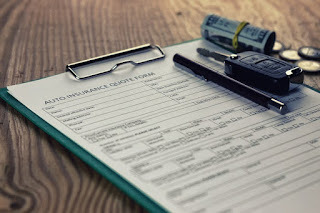 Even if you already have a standard car insurance policy, you may want to further protect your financial interests with an added layer of coverage. This is particularly important for many motorists who have an auto loan. If your vehicle is stolen and unrecovered for it’s totaled, your standard coverage will write you a check for the current market value of your automobile. Drivers who have a car loan but not gap insurance will have to pay the difference between the balance of their loan and the amount their insurer sends them out of pocket. Motorists who have gap insurance won’t have to tap into their savings because their gap insurance policy will pay off the balance of their loan that exceeds the amount they were reimbursed for. When you visit our Van Nuys, CA Toyota dealership, we’ll talk to you about whether gap insurance is a smart investment for you. In general, it’s wise to purchase this kind of coverage if you didn’t put a lot of money down when you bought your vehicle, you leased your automobile, or you rolled negative equity from another loan into your new auto loan. To learn more about gap insurance and to see if you should buy this type of insurance, contact Keyes Toyota or visit our convenient location today.